While there are many, many reasons to plan your visit to the Outer Banks - beach, sun, surf, fishing, kayaking, hanggliding... the list goes on and on. But, one thing is always tops on my list - and from the looks of it, many other's lists throughout history: Lighthouses. 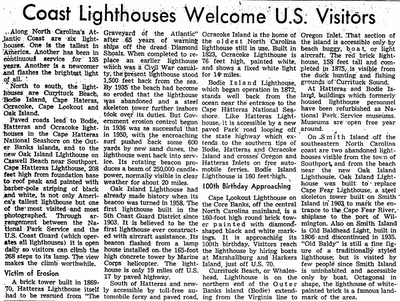 We've already taken my tour of the Outer Banks lighthouses - heavy on pictures and my love for them.. but a little light on history. 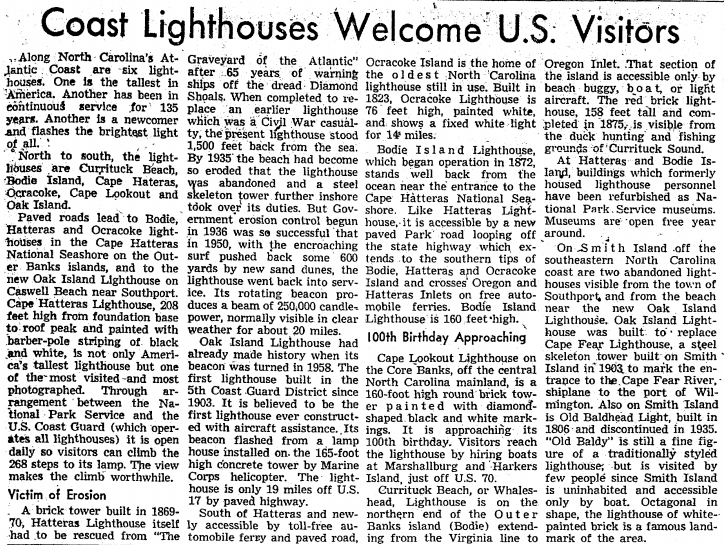 Its full of historical facts, that while written 50 years ago still hold true today: for instance, little Ocracoke Light is still the oldest Lighthouse in use. It may not tower as high as its cousins to the North and South, but it has a proud history all the same! PS Don't forget to check out my tour of the OBX lighthouses!